A friend of neighborhood watch volunteer George Zimmerman called for prosecutors investigating the shooting of Trayvon Martin to immediately release all the evidence in the case to quell cries for Zimmerman's arrest, and suggested that because of the growing controversy surrounding the case "George has virtually lost his life, too." Joe Oliver, a family friend who spoke with Zimmerman on Saturday, has taken to the airwaves in recent days to push back with increasing rhetorical force against claims that Zimmerman should be arrested for the shooting. Zimmerman has not been charged with any crime. In his efforts to defend Zimmerman, who he says has gone into hiding in fear of his life, Oliver, a former television journalist, has made a number of incendiary -- and at least in one case -- apparently contradictory comments. Yesterday, Oliver told ABC News' David Muir that he "didn't even know whether George pulled the trigger." He reiterated that claim Monday to George Stephanopoulos on "Good Morning America." Authorities have said since the beginning that Zimmerman admitted shooting Martin, and numerous eyewitnesses have told ABC News they heard a gunshot, and ran out of their houses to find Zimmerman standing over Martin's body. Still, in response to a question about what Zimmerman would say to the Martin family if he had the opportunity, Oliver replied "that he's very, very sorry. That he's very, very sorry, because in many ways George has lost his life too." 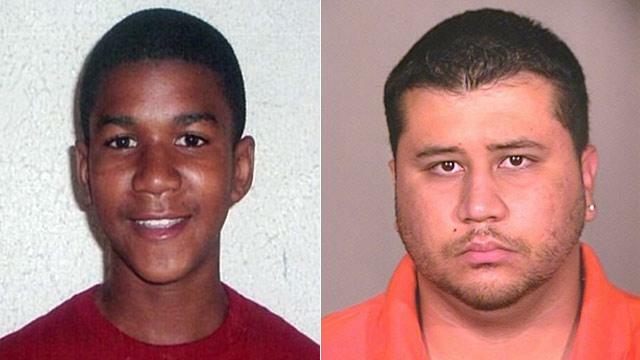 On Saturday, Oliver said that Zimmerman "couldn't stop crying" in the days following the shooting. A 911 tape that appears to capture Zimmerman uttering a racial slur as he pursued Zimmerman the night of February 26 in a gated community has enraged civil rights leaders and tens of thousands of people across the country. In major cities from Los Angeles to New York to Miami, huge crowds have turned out to call for Zimmerman's arrest. Another rally is planned for this afternoon in Sanford. Oliver and Craig Sonner, an attorney advising Zimmerman, have repeatedly insisted that the totality of the evidence will prove that Zimmerman acted in self-defense. On Monday, they did not clarify what that evidence is. "Many people have made an interpretation of what they think happened based upon what they've heard so far, what they've seen so far, but they haven't heard from George, they haven't seen the evidence,'' said Oliver. "One of the things that's allowed this to swell so big is - what's very confusing to me, just historically, we've seen so much evidence in other cases presented to the press and allowed to be seen and explored by the public, Casey Anthony is my case in point, why the difference here? "Why haven't we seen the evidence that the Sanford police have and let it out there? Until that evidence gets out this conversation is going to keep ballooning until it explodes." In addition to a special prosecutor's state investigation in Florida, the Justice Department and the FBI are investigating Zimmerman for potential civil rights violations. A grand jury is scheduled to begin hearing evidence in the case April 10, though the special prosecutor, Florida state attorney Angela Corey, could ask a judge to sign an arrest warrant at any point before then, or she could determine that there is not enough evidence to sustain a criminal charge. Florida's increasingly controversial "stand your ground" law was passed in 2005, eliminating the requirement that a person seek an alternative -- like fleeing -- before using force if they felt they were in physical danger. The National Rifle Association and other advocates had argued that citizens were being arrested for merely defending themselves. Florida, like many other states, has long held that citizens have the right to defend themselves in their own homes. Court rulings have expanded that right to include employees in workplaces and drivers in their cars. But there was long a reluctance to extend those rights to public places, so judges had ruled that citizens under threat must make some alternative attempt to violence to escape danger. In 2005, the Florida House of Representatives voted 94-20 in favor of a new, "stand your ground" bill that eliminated the requirement to flee. The state Senate passed the bill 39-0, and Gov. Jeb Bush signed it into law. Martin was returning to a friend's home in the gated Florida community of Sanford on Feb. 26, where Zimmerman, acting as a neighborhood watchman, spotted him and called police, describing the teen as suspicious. He began to follow Martin, and continued speaking with police, who warned him repeatedly not to approach Martin. Martin, meanwhile, was on the phone with a 16-year-old female friend, who told ABC News that she urged Martin to run. She said she heard some pushing, and then the line went dead. "He said this man was watching him, so he put his hoodie on. He said he lost the man," the girl told ABC News. "I asked Trayvon to run, and he said he was going to walk fast. I told him to run but he said he was not going to run."